It is a common experience of anyone who has gotten into cold sheets in a winter night that the sheets feel extremely cold in the beginning and it takes quite a while before the sleeper feels warm. Rationally, people had been using flannel sheets to circumvent this problem and for many years and their use had been quite widespread for this purpose for long. However, recently due to advances in synthetic technology, fleece sheets have been developed, offering strong competition to the use of flannel sheets as a great alternative which does exactly the same thing. i.e. make the user feel warm as quickly as possible. The quality and level of performance of these fleece sheets are so high that many people have started calling fleece, the new flannel. However, there are quite a few differences between these two. Fleece fabric is an ideal choice for anyone who is in search of something extremely soft and highly durable. Moreover, it is also extremely ecologically friendly. It has the capability to be manufactured in a literally endless number of colors and an innumerable number of designs can always be easily printed on the fleece sheets. For this reason, the fleece fabric has become the material of choice for bedsheets and these are so good that it appeals to all types of people regardless of their sleeping habits. Read our complete guide about the best bed sheets. It is a well-known fact that the fleece fabric was most popularly used for making outdoor clothing especially the one that was used in harsh weather conditions. However, now, it is being used to make literally everything ranging from a hat or mittens to blankets, sheets, and jackets, etc. The fleece fabric is constructed in such a way that it is inherently anti-pill and it does not bunch together to form balls like many other synthetic fabrics tend to do. This fabric has the ability to avoid fraying or unraveling and therefore, it is the best choice for bedsheets for the entire family. The polar fleece fabric which is used in many fleece sheets has got a 2-sided pile. This essentially means that the fabric is exactly the same on both its sides. It is extremely strong and has the capacity to hold warmth. It also dries extremely quickly. These characteristics are the ones that had enabled its usage for outdoor clothing in the first place. The structure of the fleece is such that it contains it has got air pockets in it which allow it to keep the sleeper very warm indeed. It keeps the use warmer as compared to even wool and many other fabrics. Moreover, it is extremely lightweight and the extra warmth it provides has enabled its extensive usage in manufacturing of winter camping as well as backpacks. It is extensively used to keep the ears of the newborn calves warm. For this reason, the fleece fabric is ideal for use in bedsheets for use on winter nights. Fleece sheets are made out of fleece fabric which is knit and for this reason, at least one side is brushed so that the fibers are loosened up and this creates a raised surface enabling a very soft and plush feel. The two-sided fleece is the one which is brushed on both sides and it feels soft and plush on either side. Fleece is usually made from a variety of different types of materials. Many items are made out of fleece made out of a blend of cotton and polyester, however, many fleece sheets are made out of 1005 polyester. The ones that utilize 100% polyester are usually extremely eco-friendly. there are also fleece sheets that are made out of recycled materials. However, it must be understood that it is not the material which makes the fleece and enables its characteristics but the plush knit fabric which enables its characteristics. Besides being made out of a variety of different materials, the Fleece sheets are also available in a variety of different thicknesses as well as plushness. Cotton and Polyester fleece sheets are usually smooth on the outside and plush on the inside as they are one-sided fleece. The other type which polyester fleece sheet is usually plush on the insides and smooth on the outside. The polyester fleece sheets also differ from the cotton fleeces in that there is a shiny appearance on the smooth side of the fleece. This allows for a better performance when it comes to moisture repellence. This type of fleece sheet contains a lot of cotton and has got a small percentage of Lycra spandex. However, this type of fleece fabric has got lots of stretchiness and for this reason, it is not used in the making of fleece bedsheets. Microfleece is prepared as a double-sided fleece sheet which is extremely soft as well as thin. It is also extremely lightweight in view of being thin and therefore, it performs excellently when it comes to wicking moisture away from the user or sleeper. Microfleece is in fact, a popular choice when it comes to the making of fleece sheets. Polar fleece sheets are a lot warmer and these are very thick as well as compared to microfleece sheets. It is used for areas where the weather is quite cold. This type of fleece sheet is not brushed on either side and therefore, it is not as fluffy as other fleece sheets. It sits quite flat and is usually thinner as compared to other fleece sheets. This type of fleece sheets are knit from 2 very differently sized yarns which are basically twisted together and the resulting sheet has got a textured look. This type of fleece sheet is made out of 100% polyester and it is extremely fluffy. It very closely resembles the look of the wool fleece. As compared to fleece that pills easily, the best fleece sheets would be 100% pill-resistant and at the same time incredibly soft. They are also easily available in many colors a well as patterns. Fleece micro plush sheets are extremely warm and smooth and are ideally suited for climates which are extremely cold as near the woods or in weather resembling an Arctic freeze. Sometimes, these are crossed with plush fleece blankets to allow for a higher level of warmth. 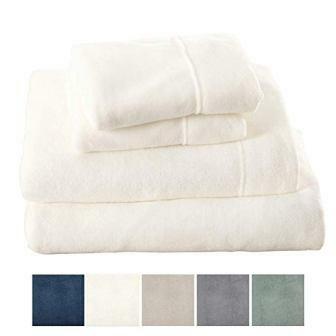 For people who react to materials like wool, etc., the micro polar fleece sheets are simply ideal in the sense that these support delicate skin types. These fleece sheets are extremely warm and also very soft and lightweight. These are also hypoallergenic. Most of such sheets are also fade-resistant and offer resistance to wrinkles as well. they hold strongly in the wash and prevent sweating as they wick the moisture away from the user. Besides the above characteristics, the best fleece sheets usually dry faster and come in many different sizes like Twin, Twin XL, Full, Queen, King, and California King. The Original Microfleece Set Fleece Sheets, King, Silver Foil from Berkshire Blanket have been designed and constructed in such a manner that they offer lasting quality as well as true comfort to the user. They allow for a perfect night’s sleep throughout the year. These sheets are always dry regardless of the change of climate from warm to cool. These are constructed out of Microfleece and are extremely attractive and pleasant to feel and touch. The Original Microfleece Set Fleece Sheets, King, Silver Foil from Berkshire Blanket are extremely pill-resistant and they do not bunch together to create tiny balls at different places across the sheet. The excellent pill-resistance is a hallmark of quality of these remarkable fleece sheets. The Original Microfleece Set Fleece Sheets, King, Silver Foil from Berkshire Blanket are exemplary for their plushness. They are extremely light in weight and are very warm. Moreover, they provide a very luxurious feel when touched by hand as they are extremely indulgent and soft. The luxurious feel of these sheets embellishes any bedroom or guestroom and offers a sense of luxury for the user. The Original Microfleece Set Fleece Sheets, King, Silver Foil from Berkshire Blanket are extremely soft as well as cozy starting from the very first day of use. These sheets remain in the same state for years to come. The moisture wicking capability of these sheets is remarkable due to very high breathability. The high level of breathability allows perfect air circulation through these sheets which keep moisture away from the user. The sheets are also able to regulate the temperature for the comfort of the user based on this capability. The fleece sheets are extremely soft and plush. The fleece sheets wick moisture away as they are highly breathable. The fleece sheets are very easy to wash and dry. For some users, these are very thin. The True North Micro Fleece Queen Bed Sheets Set from Sleep Philosophy, Casual Ultra Soft Bed Sheets Queen has been designed and constructed to serve as an alternative to flannel sheets in the most luxurious way possible. It literally converts the user bed into a cozy getaway. The microfleece sheet is extra soft and keeps the user extremely warm as well as comfortable throughout the night. The True North Micro Fleece Queen Bed Sheets Set from Sleep Philosophy, Casual Ultra Soft Bed Sheets Queen has been constructed to have one of its sides as pill-resistant. Pill-Resistance ensures that the fleece sheet would not bunch up at places and would not form any tiny balls that affect its smoothness and uniformity. The fleece sheet is extremely plush and gives a very luxurious feel when touched. It is made out of 100% polyester. The True North Micro Fleece Queen Bed Sheets Set from Sleep Philosophy, Casual Ultra Soft Bed Sheets Queen is an ultra-soft fleece sheet which gives a very cozy effect to the user. It is breathable and wicks away the moisture from the user’s body and keeps him/her dry throughout the night. It can fit any mattress up to 16 inches and has got a lot of colors and patterns available. It measures 90 x 102 inches. The True North Micro Fleece Queen Bed Sheets Set from Sleep Philosophy, Casual Ultra Soft Bed Sheets Queen is machine washable and therefore, it is very easy to maintain and take care. 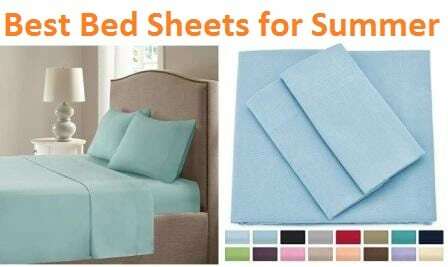 The package includes 1 Fitted Sheet, 1 Flat sheet as well as 2 pillowcases. The fitted sheet is 60 x 80 inches while the pocket depth is 14 inches. The pillowcases are 0 x 34 inches. The fleece sheet fits any mattress up to 16 inches. The fleece sheet is extremely soft and plush. It is pill-resistant on one side. The pill-resistance is confined to one side only. The Fleece Super Soft Premium Sheet Set from Bare Home, Extra Plush Pill-Resistant has been designed and constructed as a high-quality premium bedding which has been crafted with extreme care. The fleece sheets are fade- resistant and resist wrinkles as well. These sheets are extremely durable as well and last for a very long time. They have been tailored in an expert manner and they have been fully elasticized by using highly durable elastic which goes around the edges of these fleece sheets and thus, these sheets create a very snug fit to all types of mattresses. The Fleece Super Soft Premium Sheet Set from Bare Home, Extra Plush Pill-Resistant is pill-resistant and at the same time, it offers a high level of plushness. At the same time, it is also resistant to fade and shrink. The sheet is also stain-resistant. It is plusher as compared to any flannel sheet. The Fleece Super Soft Premium Sheet Set from Bare Home, Extra Plush Pill-Resistant has been designed as a super soft fleece sheet which is highly breathable. It has the capability to wick away moisture from the user’s body and also gets rid of any humidity. It is extremely lightweight as well. The breathability feature is instrumental in regulating the temperature for the user throughout the night besides keeping him/her dry. 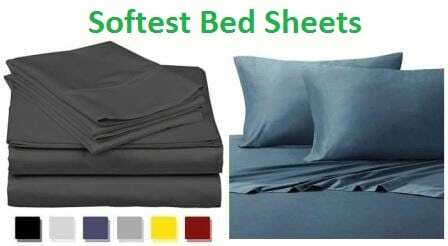 The Fleece Super Soft Premium Sheet Set from Bare Home, Extra Plush Pill-Resistant is machine washable with cold water, however, it must be ensured that similar colored sheets are washed at one time. The fleece sheets can be tumble dried at low temperatures. It does not require any ironing or any other type of costly cleaning. The ability to use easy care methods ensures that the user does not have to spend a lot of money on its maintenance enabling savings in the long run. The fleece sheet is highly breathable. The fleece sheet is very easy to maintain. It is extremely plush and warm. Its seams might not bear rough treatment. The Comfort Collection Velvet Plush Sheet Set, Queen, Gray, 1 Sheet Set from Cozy Fleece has been designed and constructed as a micro-plush sheet. These sheets are extremely comfortable as well as soft. The sheets have been manufactured using high-tech and therefore, they have been made extremely lightweight yet these are extremely warm at the same time despite the low weight. The pocket depth is 13 inches however, it fits all mattresses up to 16 inches. 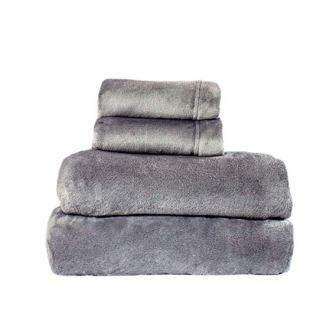 The Comfort Collection Velvet Plush Sheet Set, Queen, Gray, 1 Sheet Set from Cozy Fleece is extremely plush and gives a highly luxurious feel when touched. The package includes 1 Fitted sheet, 1 flat sheet as well as 2 pillowcases. the size of the product is Queen and the product dimensions are 80 x 60 x 0.1 inches. The weight of the package is 5.2 lbs. 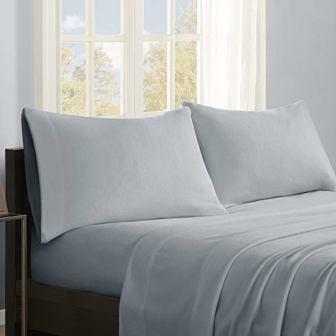 The Comfort Collection Velvet Plush Sheet Set, Queen, Gray, 1 Sheet Set from Cozy Fleece has been constructed to make it extremely soft and thus the user would feel extremely cozy, warm and comfortable in the bed. The material used in the pillowcases is the same as the one used in the flat fleece sheet. Thus, there is uniformity in the feel and softness of the sheet and the pillowcases for the user throughout the night. 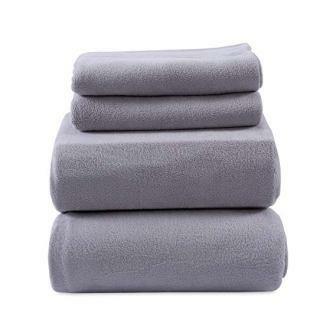 The Comfort Collection Velvet Plush Sheet Set, Queen, Gray, 1 Sheet Set from Cozy Fleece are extremely easy to maintain and do not require any expensive cleaning methods. The sheet is machine washable and can be dried very easily as well. 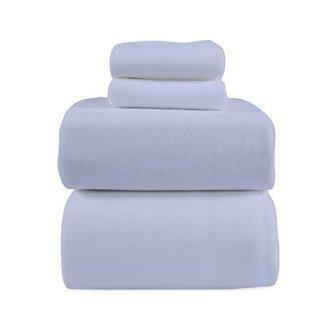 The fleece sheet is of premium quality and maintains its softness and warmth after every wash. The fleece sheet, as well as the pillowcases, are made out of the same soft and plush material thus providing uniform feel to the user. The fleece sheet is extremely lightweight due to high tech manufacturing yet it is very warm. The fleece sheet can fit any mattress up to 16 inches depth. The seams might get stressed if subjected to too much pressure. The Heavyweight Polar Fleece Sheets Fleece, Queen, Moonbeam from Berkshire Blanket has been designed and constructed as highly durable and beautifully constructed fleece sheets. This fleece sheet performs perfectly throughout the year during all 4 seasons and allows the user to have a very comfortable and undisturbed sleep and remains dry regardless of the weather is warm or cold. The Heavyweight Polar Fleece Sheets Fleece, Queen, Moonbeam from Berkshire Blanket are extremely plush and these sheets are also extremely lightweight. The luxurious feel from these sheets is simply exemplary and the sheets are extremely indulgent. The sheets have a high pill-resistance and this ensures that the sheets do not produce tiny balls on the surface and remain uniform and smooth at all times. The Heavyweight Polar Fleece Sheets Fleece, Queen, Moonbeam from Berkshire Blanket are super soft and stay cozy and warm at all times. Even, after a long time, the softness of the fleece sheets is the same as it was on the very first day. The sheets are highly breathable and the ability to wick the moisture away from the user’s body ensures that the user stays dry at all times. This air circulation also enables a high degree of temperature regulation. The Heavyweight Polar Fleece Sheets Fleece, Queen, Moonbeam from Berkshire Blanket can be very easily washed in cold water using a very gentle cycle with the help of the detergent. It is also possible to make use of non-chlorine bleach. It is recommended that the sheets are washed separately to ensure that the high-quality fibers of these sheets stay unmated a well as soft after every machine wash. No other expensive cleaning methods are required. These fleece sheets are highly breathable. The fleece sheets are soft as well as extremely lightweight. The fleece sheets are easily maintained and stay soft after every wash.
Information on pocket size is not available. The Extra Soft Cozy Velvet Plush Sheet Set from Great Bay Home. Deluxe Bed Sheets with Deep Pockets are designed and constructed to extremely pushing, soft, cozy as well as comfortable. These are made out of 100% polyester which makes them hypoallergenic as well. This characteristic enables them to be used by people with sensitive skin as well as those who have allergies. Despite the soft feel of these sheets, these are highly durable and stay with the user for a very long time. 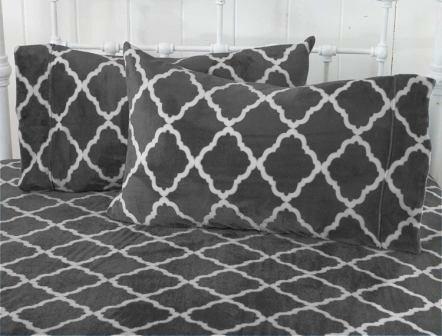 The Extra Soft Cozy Velvet Plush Sheet Set from Great Bay Home. Deluxe Bed Sheets with Deep Pockets are extremely plush and maintain their highly luxurious feel over a long time. Despite the luxurious feel, these are extremely tough and have the capability to sustain multiple washes throughout the year. These sheets have the capability to fit Twin as well as Full mattresses up to 15 inches while the capability to fit the Queen and King mattresses are up to 17 inches. 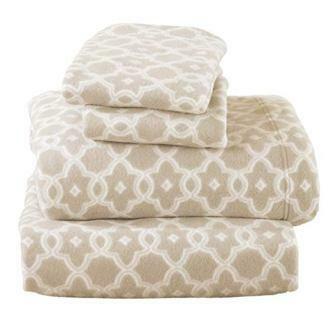 The Extra Soft Cozy Velvet Plush Sheet Set from Great Bay Home. Deluxe Bed Sheets with Deep Pockets are super soft and cozy and give a high level of comfort to the user throughout the year. The sheets are also extremely breathable and enable air flow through the sheets which keep the user dry in both cold and warm weather. It also enables better temperature regulation enabling the user to have an undisturbed sleep throughout the night. 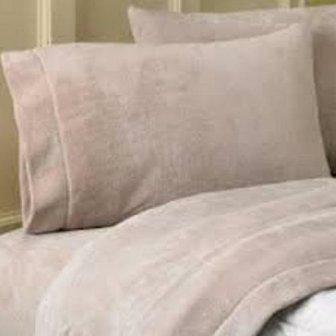 The Extra Soft Cozy Velvet Plush Sheet Set from Great Bay Home. Deluxe Bed Sheets with Deep Pockets are available in Twin, Full, Queen and King sizes and are extremely easy to maintain. These sheets do not require any costly type of cleaning and can be easily machine washed and dried. For this reason, they carry a 3-year warranty from the manufacturer and if they wear out for any reason, these are promptly replaced as a result of this warranty. The sheets are highly breathable. The sheets are soft as well as plush. The sheets are elasticized and very easy to maintain. For deep mattresses, they really need to be stretched hard. The Dara Collection Super Soft Extra Plush Polar Fleece Sheet Set from Home Fashion Designs has been designed and constructed as an extra plush 150 GSM polar fleece sheet and it is extremely warm and toasty. The fleece sheet is also extremely lightweight at the same time. This serves as an excellent alternative to the flannel sheets. These fleece sheets are also quite affordable still boast a very high quality. The Dara Collection Super Soft Extra Plush Polar Fleece Sheet Set from Home Fashion Designs is constructed to be extremely plush. 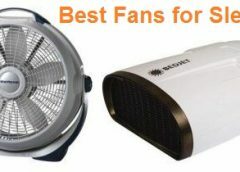 It is also extremely cozy, soft and keeps the user extremely warm and comfortable throughout the night. It is also available in many printed patterns as well as in different colors. Its beautiful patterns and colors are such that they complement each other. The fleece sheets are also pill-resistant and do not bunch at places on the sheet surface. The Dara Collection Super Soft Extra Plush Polar Fleece Sheet Set from Home Fashion Designs are extremely soft and cozy. The sheets are also highly breathable as they wick the moisture away from the user and keep him/her dry throughout the night. The sheets are available in Twin, Full, Queen, and King sizes. The Twin and full sizes fit mattress up to 15 inches while the Queen and the King size would fit mattresses up to 17 inches deep. The Dara Collection Super Soft Extra Plush Polar Fleece Sheet Set from Home Fashion Designs is an extremely ‘easy care’ fleece sheet. It can be easily washed in the washing machine and no other costly methods are required. The sheets are also resistant to fading and shrinking. It is also wrinkle-resistant. The sheets carry a 90-day satisfaction guarantee and can be returned during this period. The product dimensions are 15 x 12 x 8 inches and the weight of the item is 4 lbs. The fleece sheets are highly breathable and soft. The sheets are available in 4 different sizes. The sheets are 100% polyester and are very easy to maintain. Some people find the sheets too thin. The SHET20-733 Fleece Sheet Set Queen Black from Peak Performance are designed and constructed to be one step ahead from another regular type of fleece sheets. These sheets are designed not to lint or shed for a very long time. These sheets have gone through the 3 mscotch Gard Treatment which allows these sheets to attain the capability to develop a stain-release effect which helps to wash out even the most stubborn stains quite easily. The SHET20-733 Fleece Sheet Set Queen Black from Peak Performance is highly pill-resistant and it does not create tiny balls along the surface of the sheets. The sheets stay uniform through the time it is used and displays perfect uniformity across its entire surface. The product dimensions are 102 x 90 x 0.1 inches and the weight is 7.04 lbs. The sheets are also able to fit up to 16-inch mattresses as their pockets are quite deep. 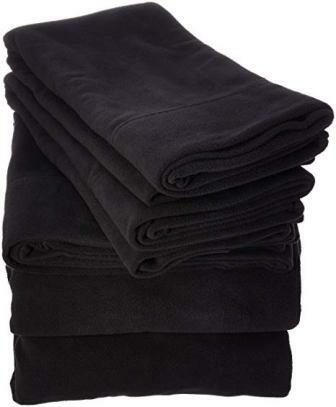 The SHET20-733 Fleece Sheet Set Queen Black from Peak Performance are made out of 100% polyester and as such are extremely soft and provide coziness and warmth to the user throughout the night. The sheets are also breathable and wick moisture away. Being made out of polyester, these are also hypoallergenic and have the ability to deter allergens and dust mites, etc. This feature is very useful for those people who have allergies and skin irritations. The SHET20-733 Fleece Sheet Set Queen Black from Peak Performance are very easy to maintain as they are machine washable. The stain release capability is preserved from one was to another. The package contains 1 fitted sheet, 1 flat sheet, and 2 pillowcases. The flat sheet is 90-by-102-inch while the fitted sheet is 60-by-80-inch and the pillowcases are 21-by-30-inch. The depth of the pockets is 14 inches. The fleece sheets are able to fit mattresses up to 16 inches in depth. The fleece sheets have been subjected to the 3 mscotch Gard Treatment which allows the sheets to release stains quite easily. The sheets are soft and highly breathable. It is not available in many sizes. The 100% Cotton 4 Piece Flannel Sheets Set, Warm, Super Soft, Deep Pocket, Breathable Bedding (Queen, Gray) from Mellanni has been designed and constructed to be the Number 1 bedsheet with the highest possible quality. it has got a deep pocket to enable fit too deep mattresses and it is also extremely soft and warm. The sheet is also highly breathable as it is made out of 100% cotton. It lets the user sleep better throughout the night and enables him/her waking up very refreshed in the morning. 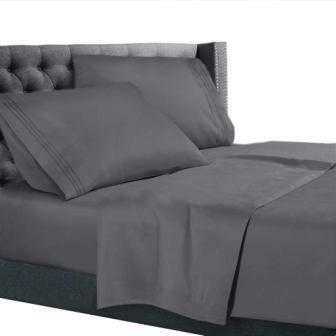 The 100% Cotton 4 Piece Flannel Sheets Set, Warm, Super Soft, Deep Pocket, Breathable Bedding (Queen, Gray) from Mellanni is highly luxurious in its feel and it is also extremely comfortable for the user. It has been designed for use in the bedroom, guestroom, RV, Kids room, camping trips, vacation home, etc. It is also a great gift for moms and dads, men and women and on Valentine’s day, Mother’s Day, Father’s Day and Christmas as well. The 100% Cotton 4 Piece Flannel Sheets Set, Warm, Super Soft, Deep Pocket, Breathable Bedding (Queen, Gray) from Mellanni is extremely soft and it is therefore very cozy and warm. In fact, this bedsheet has got the unique property of getting even softer after every wash. It is also highly breathable as it is made out of cotton and it cotton is naturally breathable. It has the capability to create air flow within the bedsheet to wick away the moisture and sweat away from the user. This way, the user remains dry regardless of whether the weather is cold or warm. The 100% Cotton 4 Piece Flannel Sheets Set, Warm, Super Soft, Deep Pocket, Breathable Bedding (Queen, Gray) from Mellanni is extremely easy to maintain. It is fade, shed, stain and wrinkle-resistant. The flannel sheet set has been pre-washed and it does not shrink. In fact, its softer after every wash. It is recommended to wash it in a washing machine in cold water and then tumble dry at low heat. The sheets are available in the win, Full, Queen and King size and in 8 colors. Its product dimensions are 12 x 10.8 x 7 inches and it weighs 4.5 lbs. The flannel sheet is versatile and can be used in a variety of rooms. The sheets are highly breathable and are extremely cozy and soft. The sheets get softer with every wash. 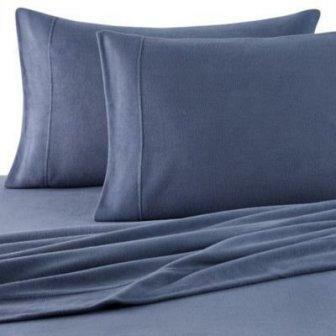 The Super Soft Extra Plush Polar Fleece Sheet Set. Cozy, Warm, Durable, Smooth, Breathable Winter Sheets from Great Bay Home are extremely soft, smooth and warm. These are extremely comfortable. The sheets are extremely comfortable. 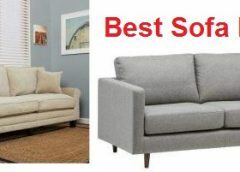 These are extremely versatile and can be used in many different rooms like the dorm rooms, bedrooms, guest rooms, vacation homes, RVs, and also on camping trips. These sheets are available in 8 different colors. The Super Soft Extra Plush Polar Fleece Sheet Set. Cozy, Warm, Durable, Smooth, Breathable Winter Sheets from Great Bay Home are extremely lightweight and extra plush. These are 150 GSM polar fleece sheets and these replace the flannel sheets really ideally. These sheets are smooth, and cozy as well. These sheets have the appeal to become the user’s favorite winter sheets. The sheets are quite affordable and these would fit any budget while the quality is not sacrificed at all. The sheets are also highly pill-resistant and would not bunch awkwardly at many places on the surface of the sheets. The Super Soft Extra Plush Polar Fleece Sheet Set. Cozy, Warm, Durable, Smooth, Breathable Winter Sheets from Great Bay Home are extremely soft and are highly breathable. They have the capability to wick moisture away from the user by enabling air circulation through the sheets which keep the user dry regardless of whether the weather is cold or warm. The sheets are available in Twin, Full, Queen and King. It has got very deep pockets enabling a good fit too deep mattresses. 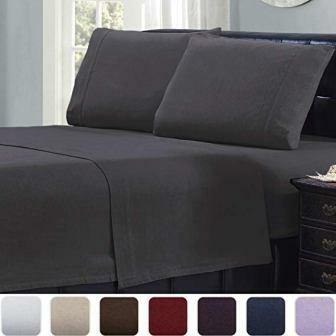 The Super Soft Extra Plush Polar Fleece Sheet Set. Cozy, Warm, Durable, Smooth, Breathable Winter Sheets from Great Bay Home is easily machine washable and as such it is very easy to take care of these sheets. These sheets are also resistant to stain, shrink, fade, and wrinkles. The Twin- and Full-size sheets fit up to the 15-inch mattress while the Queen and the King size can fit mattresses up to 17 inches deep. The sheets are available in very beautiful colors in a cloud lattice pattern and this feature complements most decors in m the rooms. The sheets are extremely plush and very soft and cozy. The sheets come with a 30-day satisfaction guarantee. The sheets are available in beautiful colors in the cloud lattice pattern. Some people would prefer them to be even softer. The Oversized Microloft Softer Sleep Sheet Set (Blue, Queen) from Berkshire Blanket is extremely soft, cozy and warm. These breathable sheets are available in Full, Queen, King and California King size. These are not available in Twin sizes. In the case of Full size, the flat sheet is 91 x 91 inches, the fitted sheet is 54 x 76 inches and the 2 standard pillowcases are 20 x 30 inches. The Oversized Microloft Softer Sleep Sheet Set (Blue, Queen) from Berkshire Blanket is made out of 100% polyester and as such are pill-resistant as well as extremely plush. The sheets do not bunch up at various places on the surface and are quite uniform and last like that for a very long time. The sheets are also plush and give a luxurious feel when touched. The California King size of these sheets includes a 108 x 102 inches flat sheet, a 72 x 84 fitted sheet and 2 standard pillowcases of 20 x 40 inches. The Oversized Microloft Softer Sleep Sheet Set (Blue, Queen) from Berkshire Blanket is also extremely soft and highly breathable. The sheets can wick away the sweat and moisture with the help of the airflow that is enabled in these sheets. This keeps the user dry at all times and especially during the night. The King size sheets of these sheets have a 108 x 101 inches flat sheet, a fitted sheet of 78 x 80 inches as well as 2 pillowcases of 20 x 40 inches. The product dimensions are 12 x 7 x 7 inches and it weighs 5.5 lbs. The Oversized Microloft Softer Sleep Sheet Set (Blue, Queen) from Berkshire Blanket is very easy to maintain and can be easily washed in a washing machine. there is no need for any other type of expensive cleaning methods. The Queen size has got a flat sheet of 94 x 102 inches, the fitted sheet is 60 x 80 inches and the standard pillowcases are 26 x 30 inches. The drop is 18 inches. The sheets are made out of polyester and are very soft and durable. The sheets are breathable and pill-resistant. The sheets are available in many sizes. Some sheets might pill a bit. The Insulated Warm Fleece Flannel Plush Sheet Set, Flat & Fitted Sheet (ICY Blue, Full), Pillow Case from Spyder has been designed and constructed provide perfect softness and comfort to the user. The sheets are very light in weight and are very warm. The product dimensions of this product are 14.5 x 12.5 x 7.5 inches and it weighs 6 lbs. The package contains a fleece flat sheet, a fleece fitted sheet along with 2 fleece pillowcases. Only in the case of the twin size, there is only one pillowcase. The Insulated Warm Fleece Flannel Plush Sheet Set, Flat & Fitted Sheet (ICY Blue, Full), Pillow Case from Spyder has been constructed as pill-resistant and this feature ensures that the sheet does not bunch up at various places on the sheets and also it maintains this uniformity over long periods of time. The sheets are also quite plush and give a luxurious feel when touched. The Insulated Warm Fleece Flannel Plush Sheet Set, Flat & Fitted Sheet (ICY Blue, Full), Pillow Case from Spyder has been constructed in such a manner that it is very soft. It is a very popular sheet for use in the winter season as it keeps the user very warm. The sheets are also highly breathable as the air circulation enabled in the sheets allows the moisture to be wicked away from the user. The user remains sweat-free the whole night and gets a very comfortable sleep to wake up refreshed in the morning. 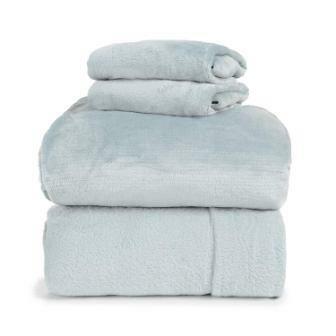 The Insulated Warm Fleece Flannel Plush Sheet Set, Flat & Fitted Sheet (ICY Blue, Full), Pillow Case from Spyder are extremely easy to maintain and they can be easily washed in a washing machine. It is recommended to use cold water and the user can use a mild detergent as well. A gentle cycle is needed for this wash. It is also possible to use a non-chlorine detergent. The user can tumble dry the sheets at low heat. The sheets fit mattresses up to 16 inches except for the Twin size which fits mattresses up to 12 inches deep. The sheets are extremely soft and highly breathable. The sheets are very cozy and warm in winter. The sheets are very easy to clean. The stitching might not take too much stress. 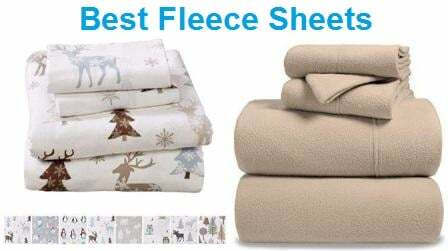 The Queen Micro Fleece Sheet Set, 6-piece for Winters (Taupe), Extremely Soft and Cozy from Life Comfort has been designed and constructed as an authentic fleece sheet with very beautiful colors. It is made out of 100% polyester and is extremely soft and lightweight. Despite this lightweight, it does not sacrifice the warmth at all. Because of being made out of polyester, it is hypoallergenic as well and has the capacity to protect against allergens, dust mites, etc. This is very useful for people with allergies and skin irritations. The Queen Micro Fleece Sheet Set, 6-piece for Winters (Taupe), Extremely Soft and Cozy from Life Comfort offers a high degree of pill-resistance preventing the sheet surface to develop tiny balls. The sheet is uniform throughout the entire surface of the sheet and remains so after everyone was as well. It is also extremely plush and gives a very luxurious feel when touched. The Queen Micro Fleece Sheet Set, 6-piece for Winters (Taupe), Extremely Soft and Cozy from Life Comfort is extremely soft and feels extremely cozy throughout the night with its warmth sustained despite its extremely lightweight. It is also highly breathable as the fleece sheet has the capability to enable an air circulation through it which keeps the user totally dry in both cold and warm weather as it wicks away all the moisture and sweat away from the user. 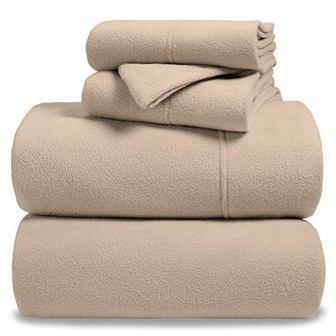 The Queen Micro Fleece Sheet Set, 6-piece for Winters (Taupe), Extremely Soft and Cozy from Life Comfort is easily cared for as it can be machine washed and either air dried or tumble dried on low heat. The sheet is imported into the United States. the package contains 1 Fitted Sheet, 1 Flat sheet, 2 microfiber pillowcases as well as 2 fleece pillowcases. The sheet fits mattresses up to 15 inches. The product dimensions are 13.5 x 12.5 x 10 inches and it weighs 5 lbs. The sheet is extremely lightweight but warm. The sheet is available in King and queen sizes. The package contains a total of 4 pillowcases. The sheet is not available in many sizes and colors. The 4 Piece Sheet Set – 1800 Deep Pocket Bed Sheet Set – Hotel Luxury Double Brushed Microfiber Sheets from Nestl Bedding is designed and constructed to enable the user to say goodbye to sweaty night, restlessness and also to ensure that a new era of refreshing and peaceful sleep is ushered into his/her life. These sheets are very tightly woven and are brushed on either side. These sheets are pet-friendly and the user does not have to worry about pet claws or nails. The bedding has a resistance to snag or tear even when the user shares the bed with pets. 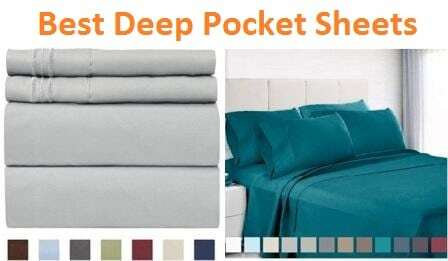 The 4 Piece Sheet Set – 1800 Deep Pocket Bed Sheet Set – Hotel Luxury Double Brushed Microfiber Sheets from Nestl Bedding has resistance to pilling and it is also snag-resistant. The bedding is very durable and it is also extremely plush as it offers a very luxurious feel when touched. It is even more durable than Egyptian cotton sheets. The colors are extremely vibrant and they do not fade after washing. The pattern contains stripe details which are extremely beautiful and look very elegant. The 4 Piece Sheet Set – 1800 Deep Pocket Bed Sheet Set – Hotel Luxury Double Brushed Microfiber Sheets from Nestl Bedding is extremely soft and these are softer than Egyptian cotton sheets or even 1800 thread cotton sheets or organic cotton sheets. The sheet is highly breathable and it is very cool to touch as well. The sheet creates an exemplary sleeping experience as it keeps the user dry at all times regardless of the weather conditions. The 4 Piece Sheet Set – 1800 Deep Pocket Bed Sheet Set – Hotel Luxury Double Brushed Microfiber Sheets from Nestl Bedding is very easy to handle and care for. They have elastically fitted all around and thus, a very secure fit is achieved around as the user sleeps. There is no requirement for sheet grippers or any other cotton strap, etc. The sheets are machine washable and it stays free of allergens, dust mites, or pet dander etc. It is also very easy to remove pet hair and fur through washing. These would not stay on the sheets. The sheets are pet-friendly and pet dander, fur, and hair are easily washed away. The sheets are hypoallergenic and are good for people with allergies. The sheets are very luxurious and are available in many colors. Some users regard these as to thin. The Stratton Collection Extra Soft Printed 100% Turkish Cotton Flannel Sheet Set from Home Fashion Designs are designed and constructed as highly luxurious cotton flannel sheets and are extremely soft, warm, cozy and provide a lot of comfort to the user. 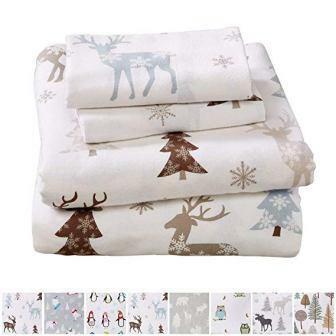 They have the appeal to become the most favorite sheets for the user to use in winter. These are good for all types of rooms like bedrooms, vacation homes, guestrooms, RVs, dorm rooms, and even for camping, etc. The patterns are liked by kids and teens very much. The Stratton Collection Extra Soft Printed 100% Turkish Cotton Flannel Sheet Set from Home Fashion Designs offer a high level of pill-resistance as well as plushness. It remains uniform throughout its entire surface. it has got a very nice feel on the hands and looks extremely luxurious. It has the capacity to sustain multiple washes and still maintain its luxurious look and feel. The Twin size of this sheet has got a 39 x 75 inches fitted sheet, 66 x 96 inches flat sheet and a pillowcase of 20 x 30 inches. The Stratton Collection Extra Soft Printed 100% Turkish Cotton Flannel Sheet Set from Home Fashion Designs is extremely lightweight and very gentle. It is extremely warm and also quite breathable. It has the capacity to stay warm as well as toasty on very cold nights as well. It allows the user to have very comfortable and dry nights. It is available in many different types of print patterns. The Full Fitted Sheet is 54 x 75 inches, the flat sheet is 81 x 96 inches and the pillowcase is 20 x 30 inches. The Stratton Collection Extra Soft Printed 100% Turkish Cotton Flannel Sheet Set from Home Fashion Designs is extremely easy to care for and maintain. It is machine washable also resistant to wrinkles, fade, and shrinks. It is extremely durable as well. It has the capability to maintain its characteristics after each wash. The manufacturer offers a 100% satisfaction guarantee. The Queen size has got a fitted sheet of 60 x 80 inches, a flat sheet of 90 x 102 inches and a pillowcase of 20 x 30 inches. It is extremely plush and also very warm and smooth. For some users, the pillowcases are a little small.